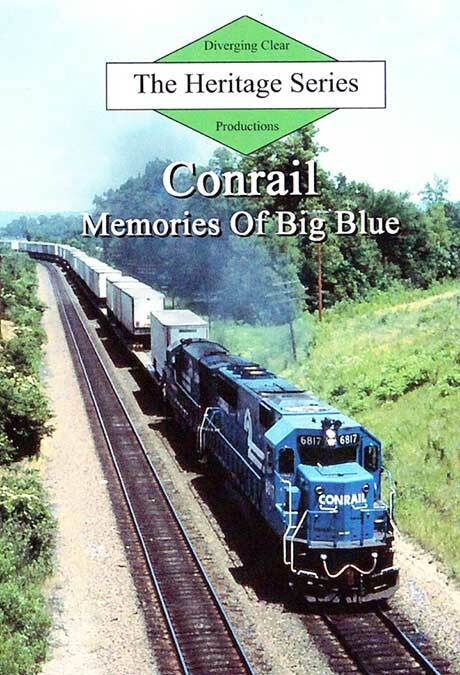 Come along for a look at Conrail's west end in the late 1980s and early 1990s. 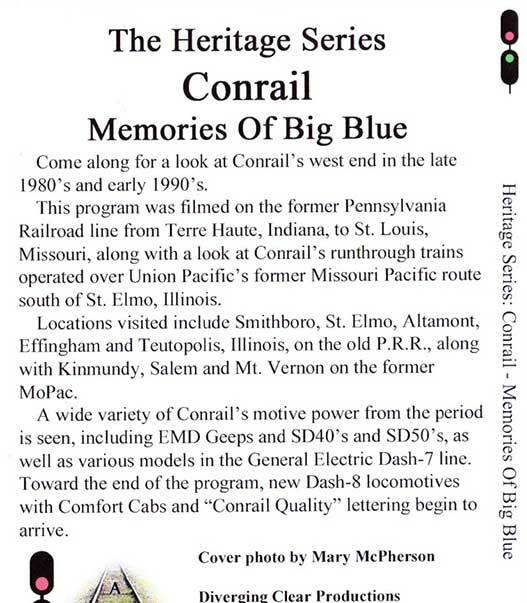 This program was filmed on the former Pennsylvania Railroad line from Terre Haute, Indiana, to St. Louis, Missouri, along with a look at Conrail's runthrough trains operated over Union Pacific's former Missouri Pacific route south of St. Elmo, Illinois. Locations visited include Smithboro, St. Elmo, Altamont, Effingham and Teutopolis, Illinois, on the old P.R.R., along with Kinmundy, Salem and Mt. Vernon on the former MoPac. A wide variety of Conrail's motive power from the period is seen, including EMD Geeps and SD4O's and SD50's, as well as various models in the General Electric Dash-7 line. Toward the end of the program, new Dash-8 locomotives with Comfort Cabs and "Conrail Quality" lettering begin to arrive.